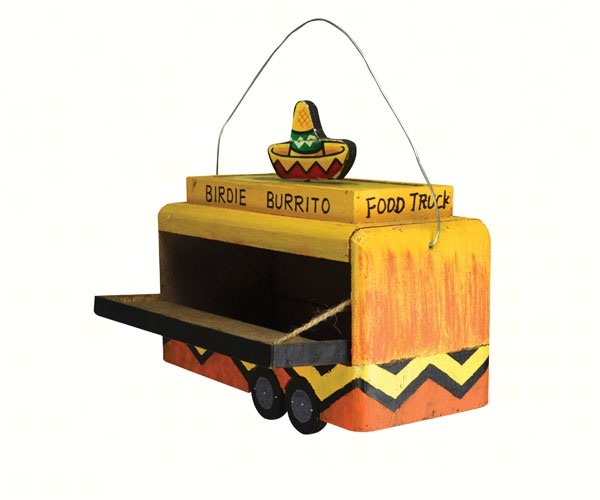 New Food Truck Themed Bird Feeder adds charm to your yard! Includes a built in wire hanging system, bird safe, lead free paint, and easy clean out access. Produced with wood from FSC well-managed forests.